"The key to greater safety on the Scottish mountains is better awareness of the risk. Assessment of risk comes through experience and training." Each person is responsible for their own safety on the hills. The club officials are not trained instructors nor are there leaders for any of the walks. Know where you are going on each walk and plan the route and timing beforehand. Adjust routes depending on expected conditions. Follow the route on your map. Know how many are in your party and stay together. "Climb if you will, but remember that courage and strength are naught without prudence, and that a momentary negligence may destroy the happiness of a lifetime. Do nothing in haste; look well to each step; and from the beginning think what may be the end." - Edward Whymper. Boots - suitable for walking over difficult and wet terrain. In winter stiff soled boots will be required for crampons. Gaiters - to prevent your boots from filling with mud, peat, snow, water etc. Warm trousers - any of the standard types available from outdoor shops. Do not usejeans - this is because when they get wet they stay wet and quickly draw out body heat. Even in hot days in summer (when people sometimes wear shorts) it is advisable to carry long trousers with you in case the weather changes. Several layers of clothes, waterproofs, warm headgear and gloves. (Yes, even in summer!). Carry an extra fleece or sweater. If in doubt please ask an existing member what they would recommend. You may be advised not to do a particular walk if committee members feel you are unsuitably clad for the conditions. Change of clothes - It is worthwhile taking a change of clothing and a towel to leave in the bus or car - travelling back on the bus soaked through is not much fun (especially in winter). Beforehand: Have a good breakfast - also MCofS recommends high carbohydrate, meal the evening before. Carry enough food and drink for at least 3 stops. The exact type of food and drink may vary depending on season and length of walk. Always carry some emergency rations such as: Chocolate, Mint Cake, dried fruit. Do not use them as an extra snack - keep in your rucksack. Even if you don't think you'll want much food, take enough to last - it is better to have a bit more than too little. Similarly always carry enough fluid for the whole day - do not rely on refilling bottles on the hill. See the MC of S guidelines on food and drink. A map and compass: Know how to navigate (and navigate when you need to - don't rely on others). A small first aid kit: Know how to use this as well. A polythene and/or foil survival (bivouac) bag. A torch and whistle (head torch). 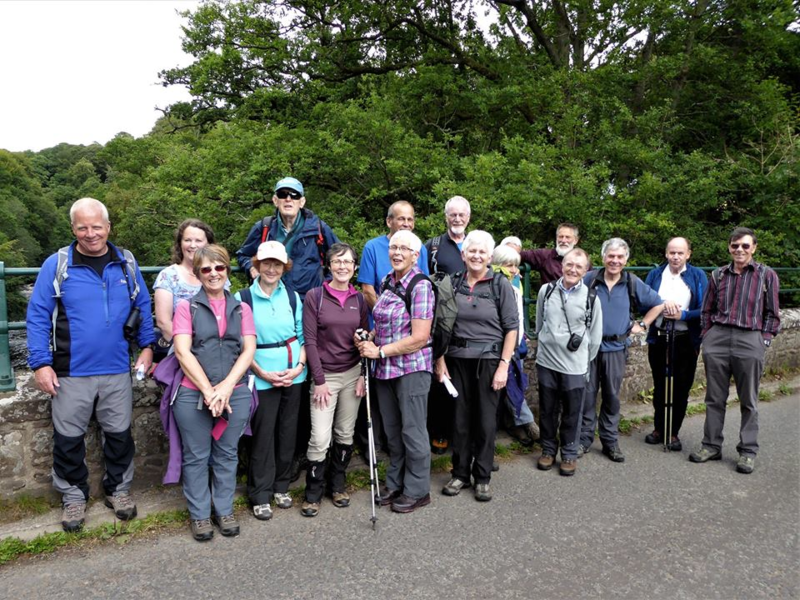 NOTE: The Club arranges navigation, winter skills and first aid courses during the year and informal teaching in navigation and winter skills can be had from some members during the walks. In addition: Glen Arna home study packs on Navigation and Mountain Hazard are available for the use of members. Ice axe - know how to use it. Crampons - know how to use them. Foam mat - better than the survival bag for sitting on in (the infrequent!!) cold/wet conditions. Shelter bag - 4 or 6 person "tent" bag - "livvi bivvi"
GPS system - several members have this already - great for checking location BUT does not replace basic navigation skills (Map and Compass work). Mobile phone - if you have one let the Meets secretary know - it may be useful for checking the location of groups on the hill. VERY IMPORTANT: Make sure your phone is fully charged the evening before. Do NOT rely on the phone for communication. Whilst a good or reasonable signal can be obtained on many mountains and ridges in Scotland, lower ground and glens are often signal "dead" zones. Signal availability also relies on the provider and location of cells. Sun screen - useful to carry all year round. The sun in winter and spring reflecting off snow can be more intense than in summer. Small plastic film containers are perfect to keep some in your rucksack.